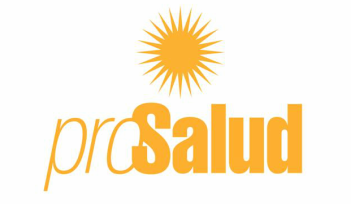 The mission and purpose of ProSalud is to promote health awareness among Hispanic immigrants that lack access to adequate health care, and to empower them to take charge of their own health through education, prevention and access to local resources. ProSalud's goal is to train community leaders to provide health education, to advocate for individual and community health issues, to serve as a liaison with the medical community, and to provide outreach for those without a medical home. We teach basic health care principles to community representatives and train them to access local-based services. Our promotoras de salud - or promoters of health – in turn, serve as bridges between the community and health care system by sharing their knowledge with their neighbors through print information, formal and informal presentations, health screenings, community events, and one-to-one visits. Because the promotoras are from the same background as the people they serve, the community responds more openly to them. Providing people with access to health care is an investment in the future. In a population particularly vulnerable to type 1 diabetes and high cholesterol, early treatment and intervention mean reduced dependence on emergency rooms and other costly public facilities. Healthy children are more likely to grow into healthy adults, which ultimately benefits us all. ProSalud was founded in 2000 by Dr. Peggy Goetz. A pediatrician for over 25 years, Dr. Goetz has long been committed to children's health. She served as a Peace Corps volunteer and has participated in medical missions to developing countries. For the past 14 years Dr. Goetz has worked to improve health care for residents of Gulfton. John Collier served in Christian ministry for over 40 years in the United Methodist Church, having served in Tulsa in campus ministry in the 1970’s and at West University United Methodist Church from 1981 to 2006 before becoming executive director of Caring Friends, Inc. in 2006 in Houston. Currently on the Boards of Pro Salud The Police And Clergy Team (PACT) and Pro Vision Charter School, John is a charter member and past president of West University Rotary Club. Caring Friends encourages, collaborates and leverages resources with kindred spirit partners who are serving in at risk communities and with underserved populations. Caring Friends derives its ethos from the life and teachings of Christ while serving without regard to race, gender or religious affiliation. Mary is a retired Pharmacist and community volunteer. She is actively involved with West University Methodist Church as head of the Altar Guild, The Museum of Natural Science Volunteer Board and Medical Bridges as a volunteer Pharmacist and assistant to the Director of Finance and Administration. She received her Pharmacy degree from the University of Texas at Austin. Linda Civallero has more than 20 years of experience collaborating with community organizations on health programs. As a program manager at MD Anderson Cancer Center, she serves as a liaison to connect researchers with community-based organizations and health providers that have a mutual interest in cancer prevention programs and research studies. As a graduate student, she worked in Gulfton as a community organizer and worked with Dr. Goetz on an early promotora training program and service providers' network. Linda is married and has two sons. She earned a master's degree in public health from the University of Texas School of Public Health.